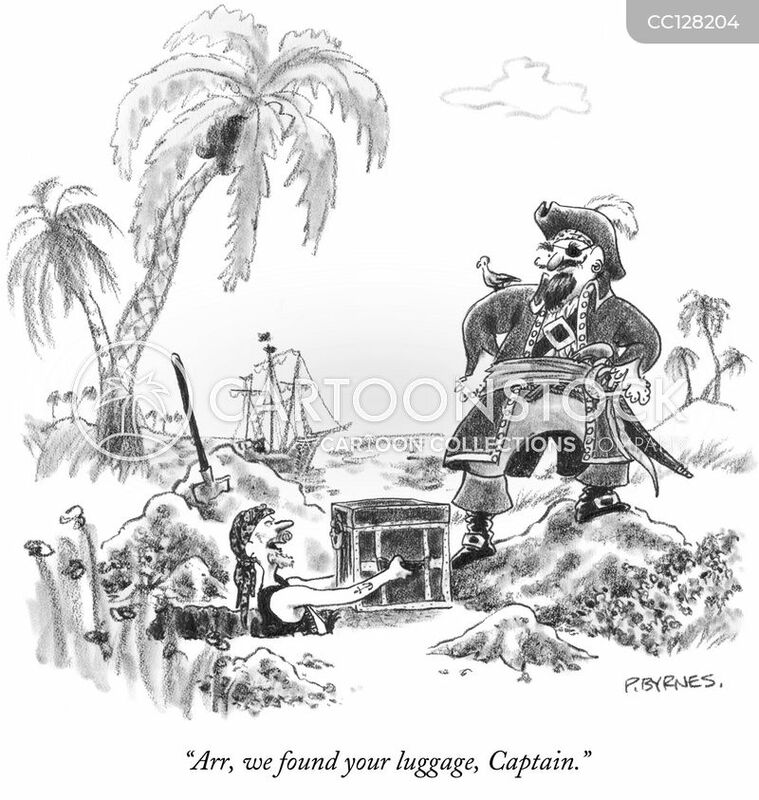 "Arr, we found your luggage, Captain." 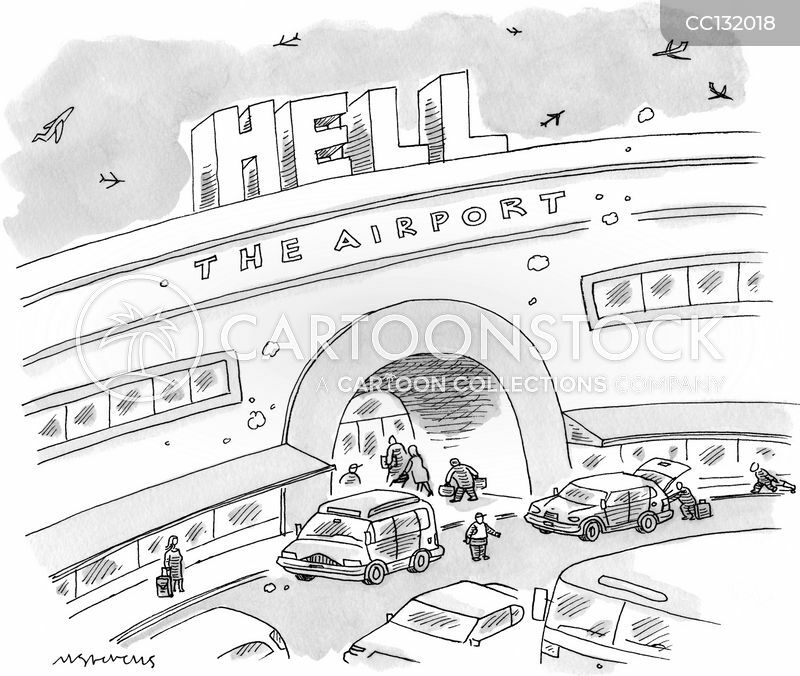 "It's the airline. 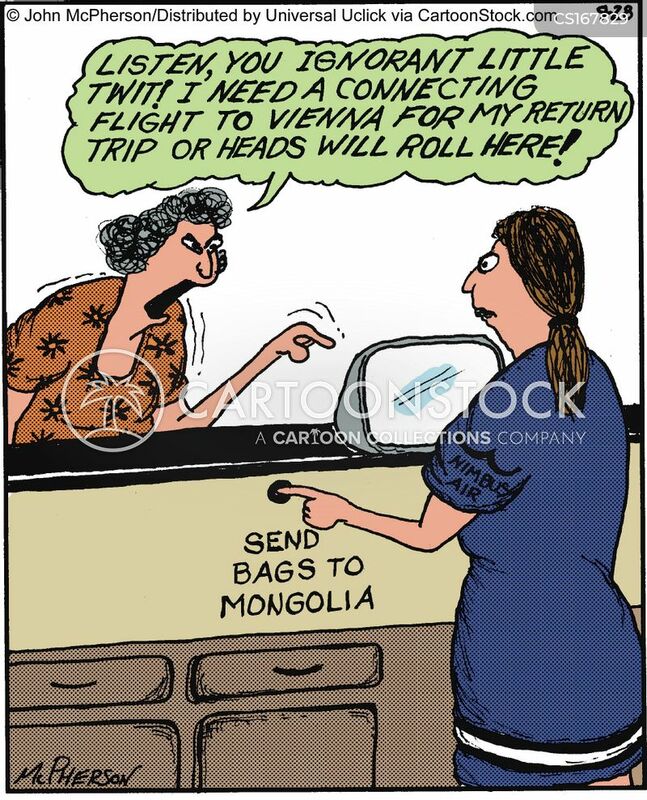 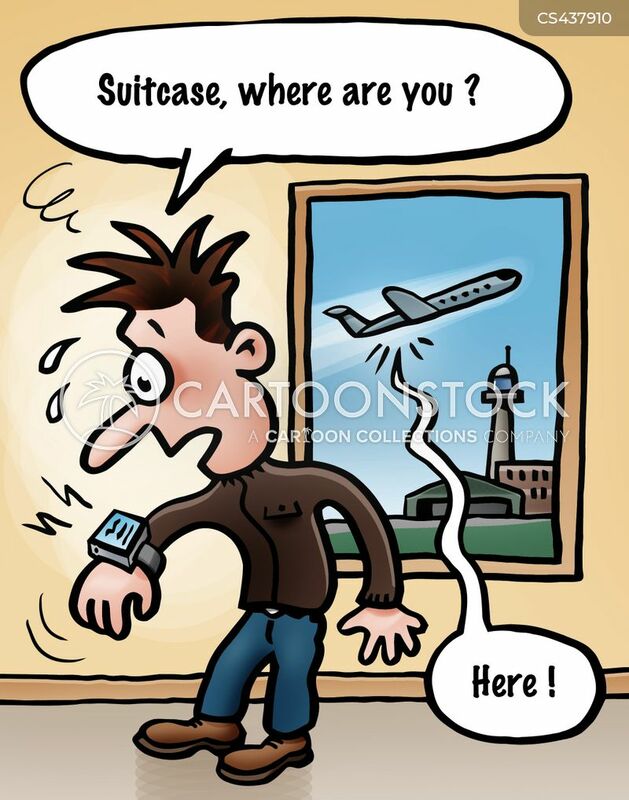 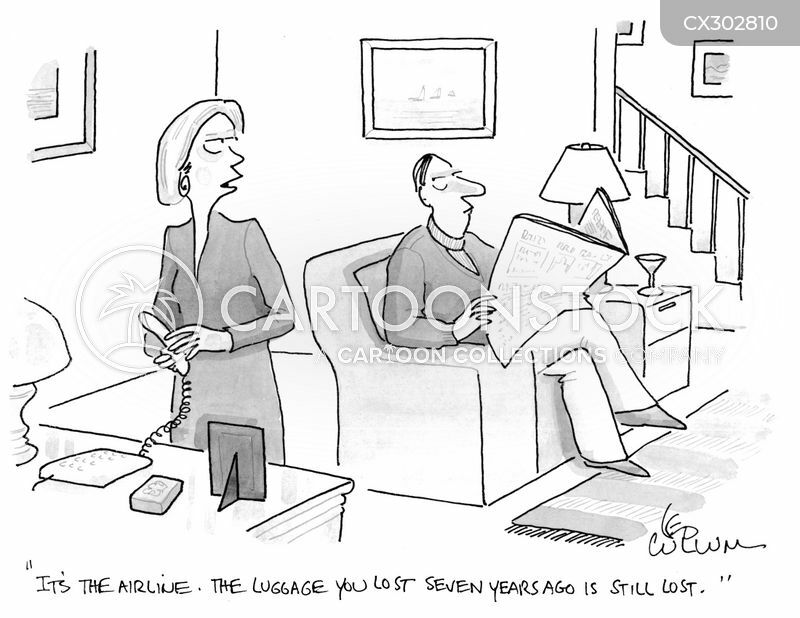 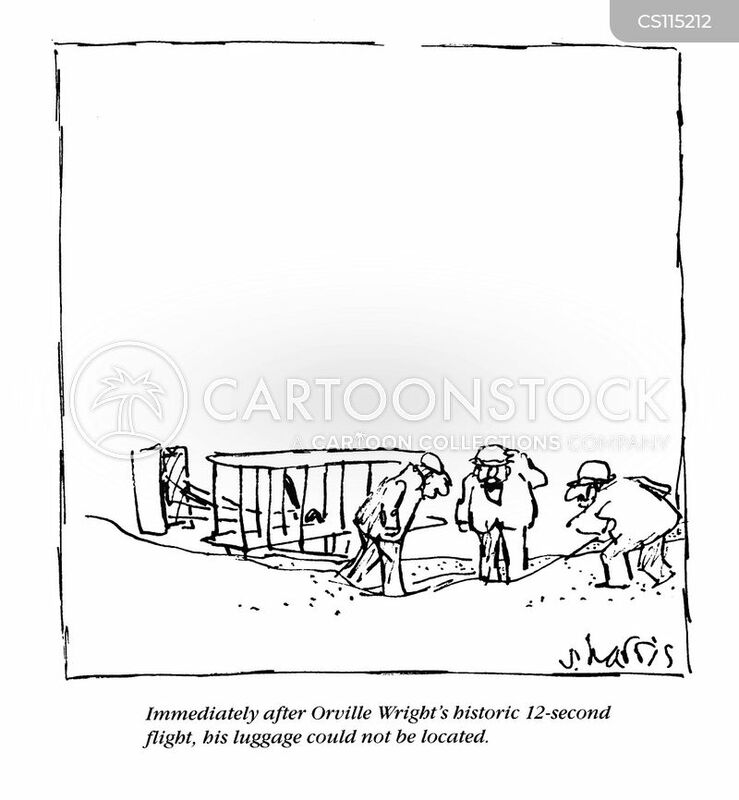 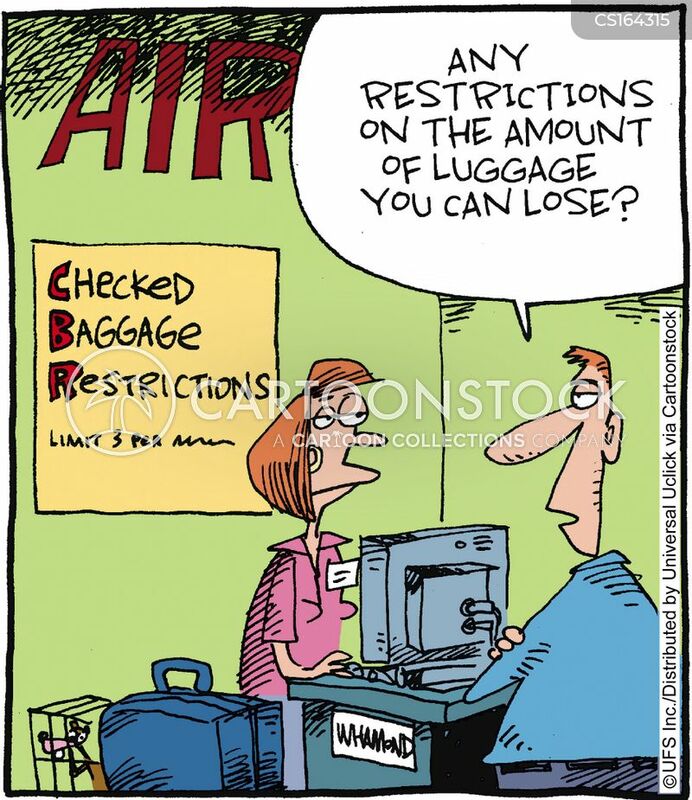 The luggage you lost seven years ago is still lost." 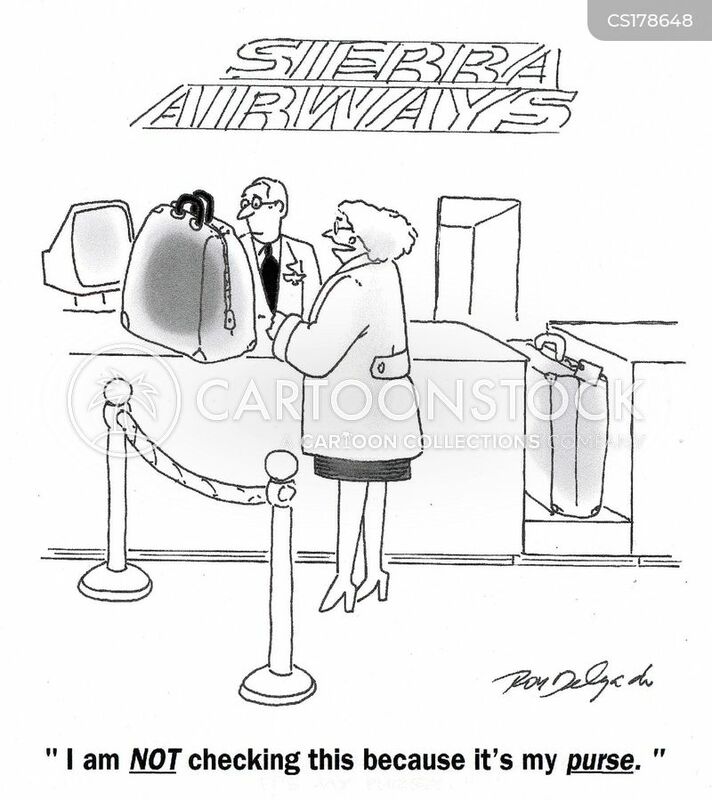 "I'm sorry, ma'am. 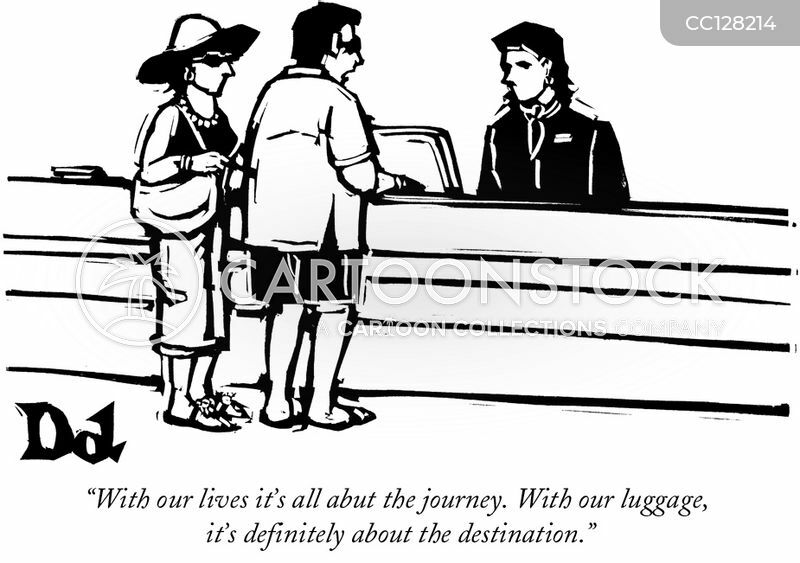 We thought your luggage tags said 'Austria'." 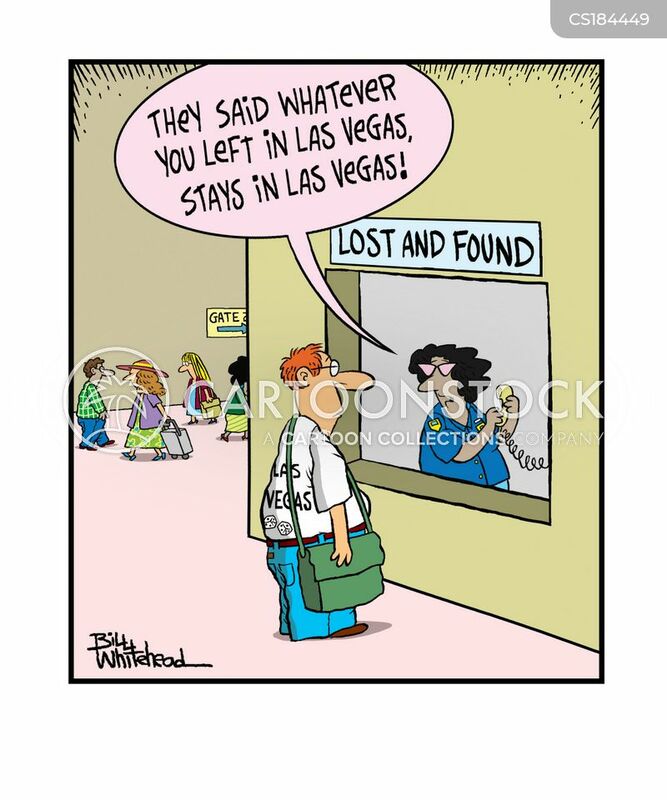 "Look. 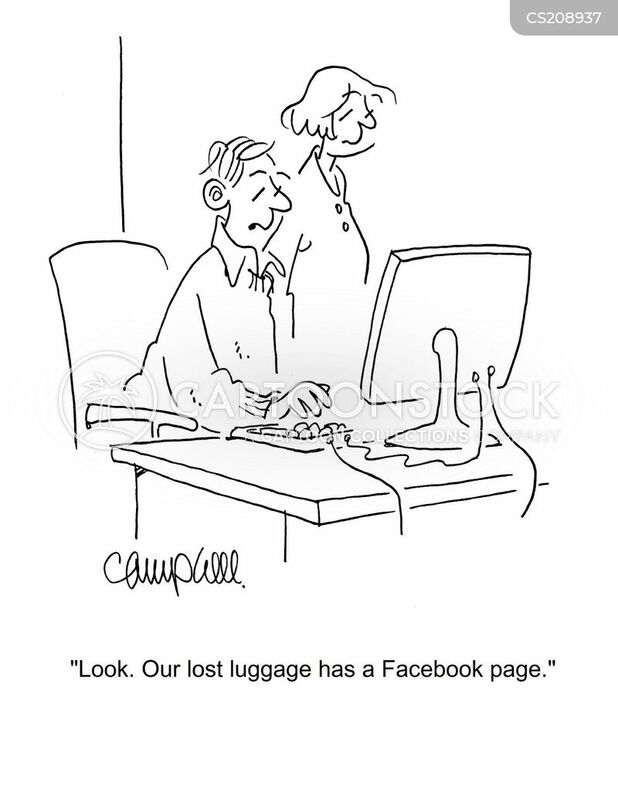 Our lost luggage has a Facebook page." 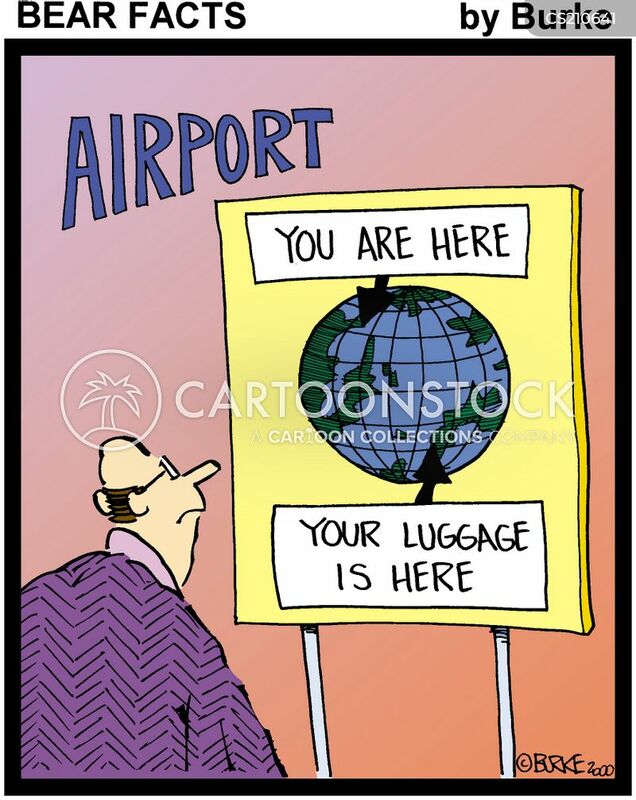 Airport - You are here ... 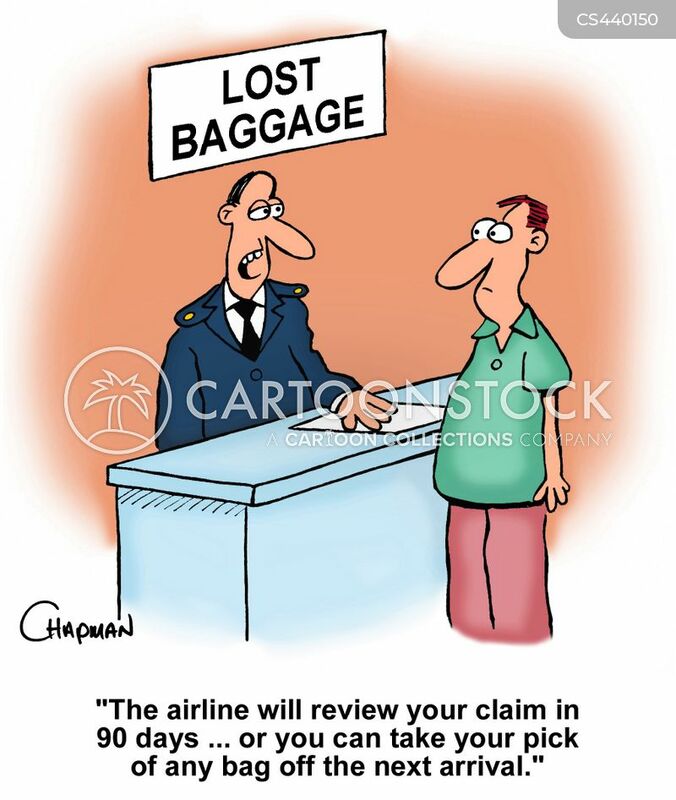 Your luggage is here. 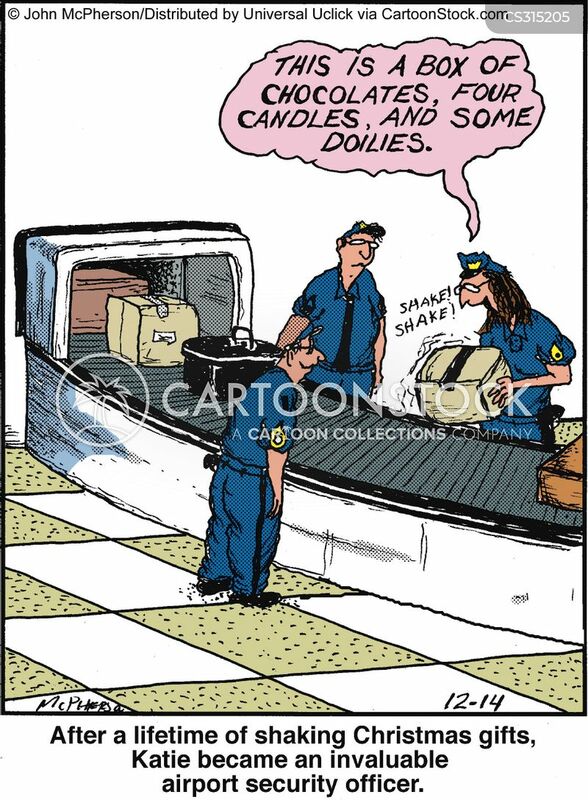 After a lifetime of shaking Christmas gifts, Katie became an inevitable airport security officer. 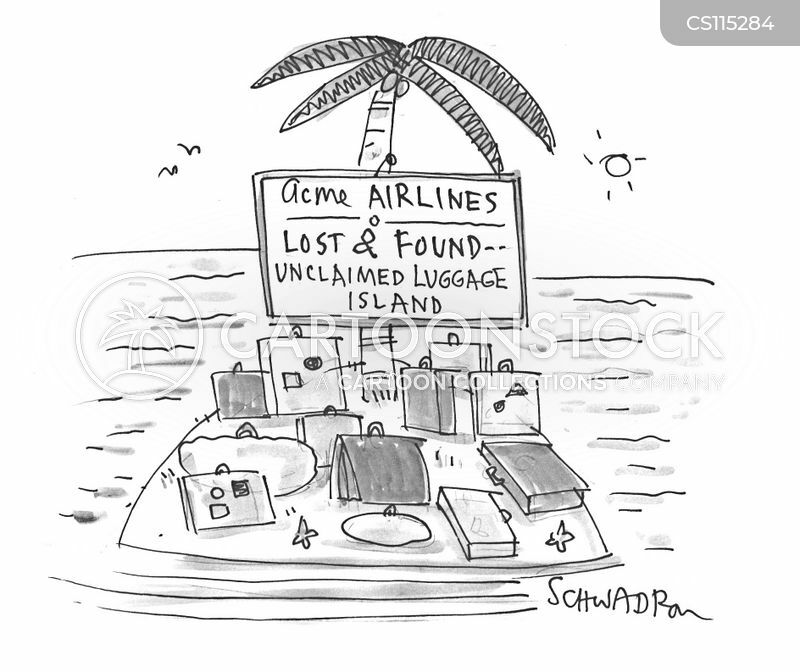 Where lost luggage goes. 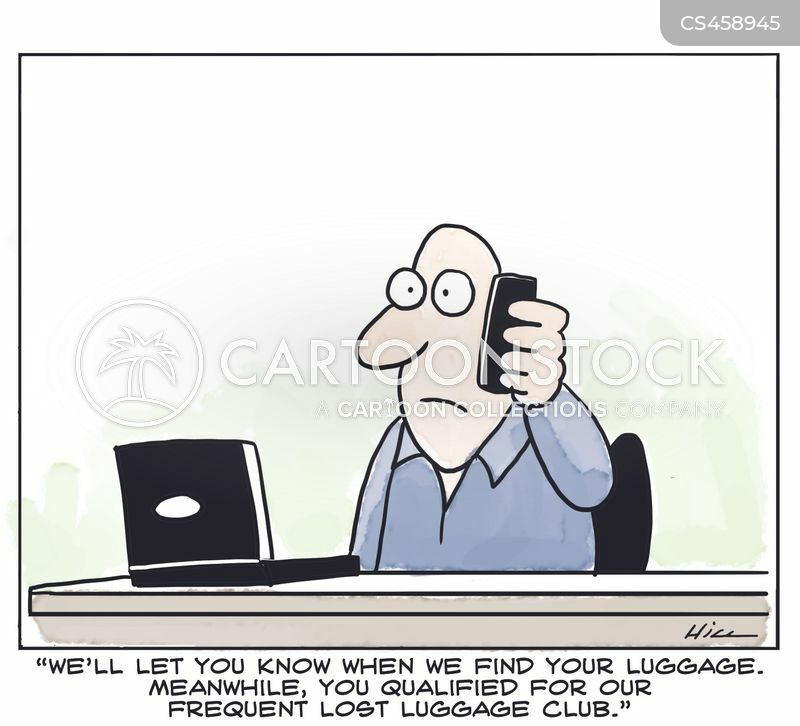 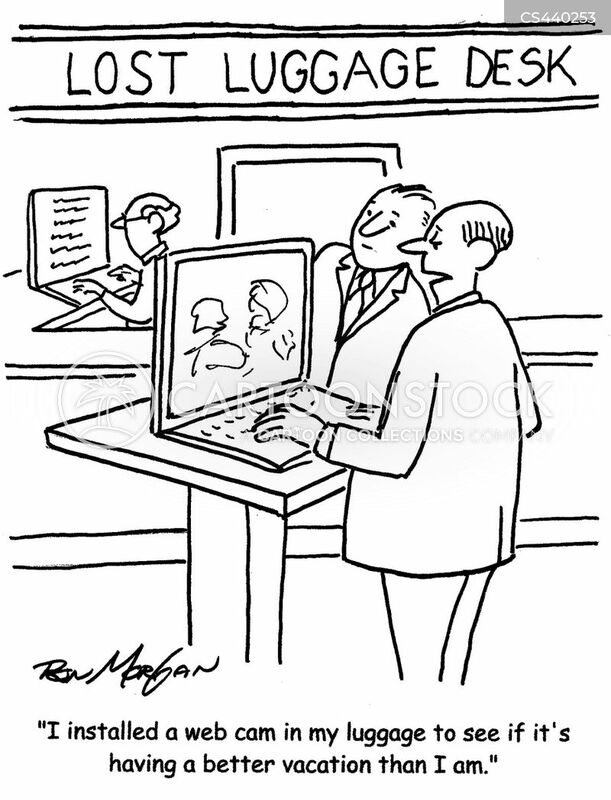 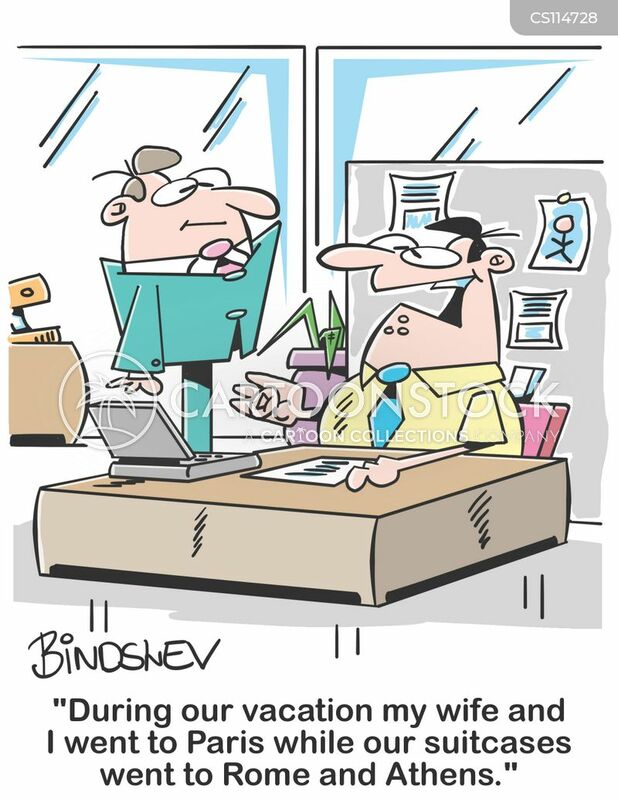 . .
"I installed a cam in my luggage to see if it's having a better vacation than I am." 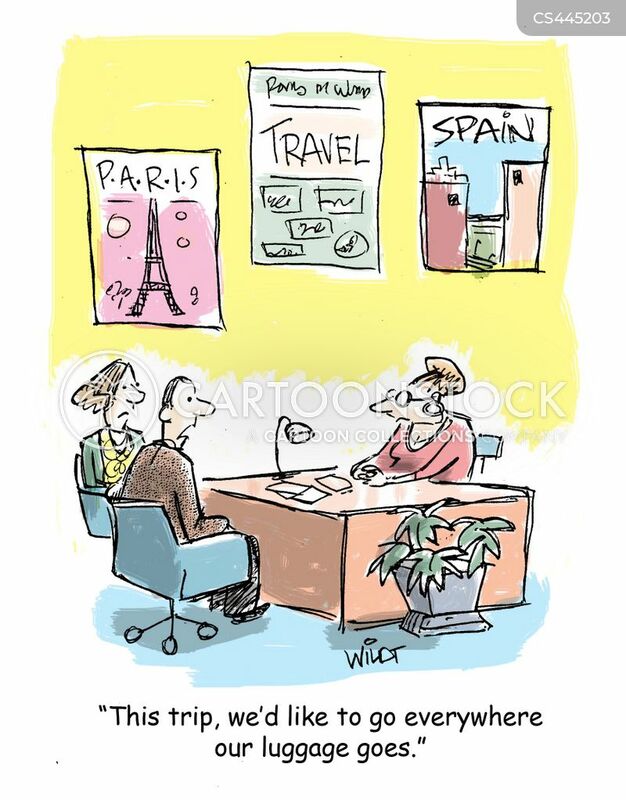 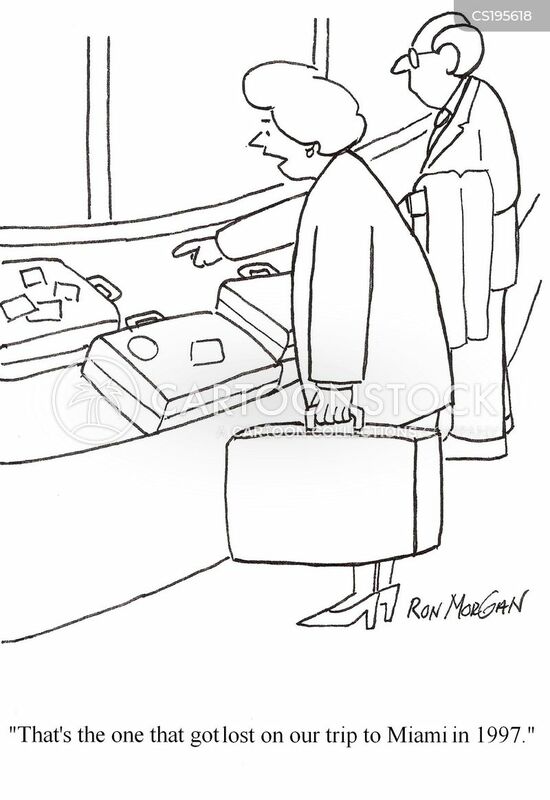 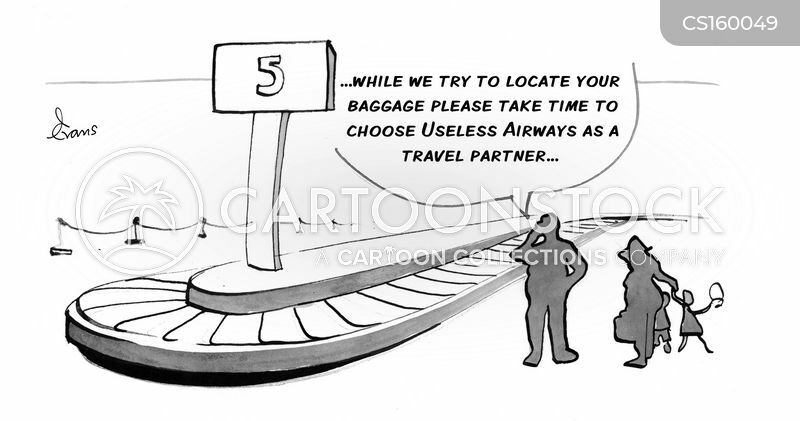 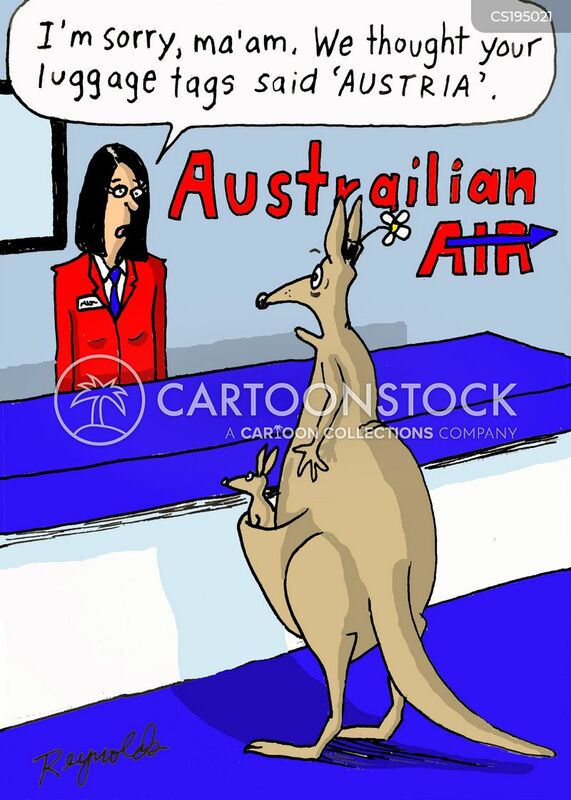 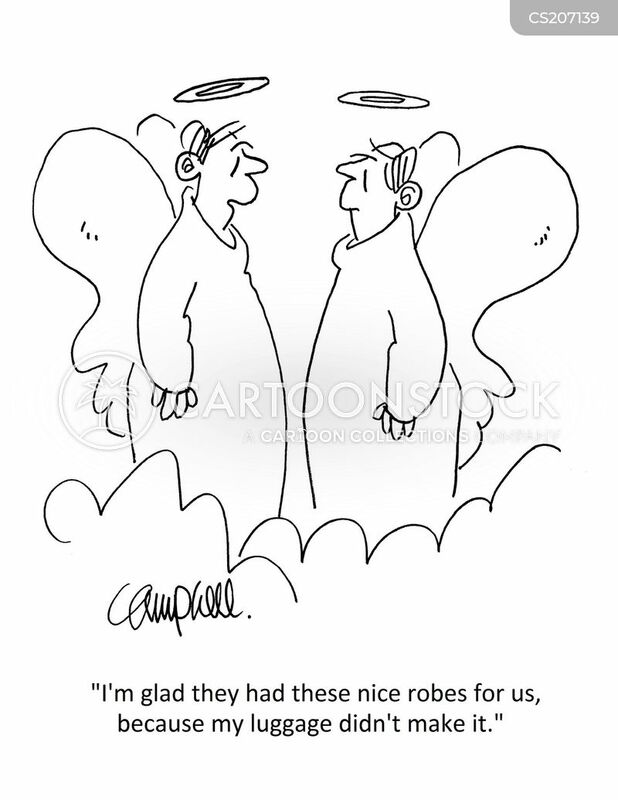 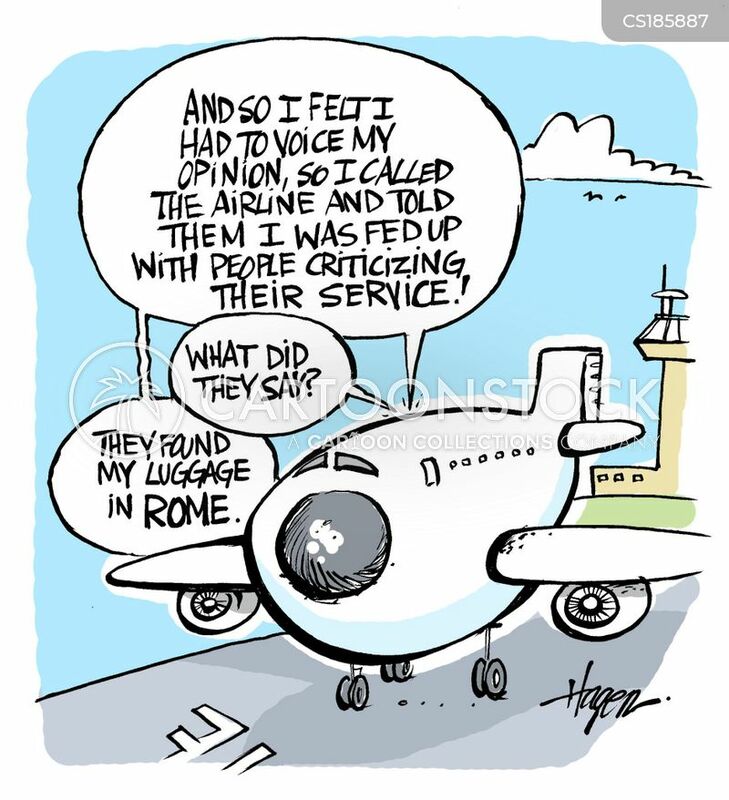 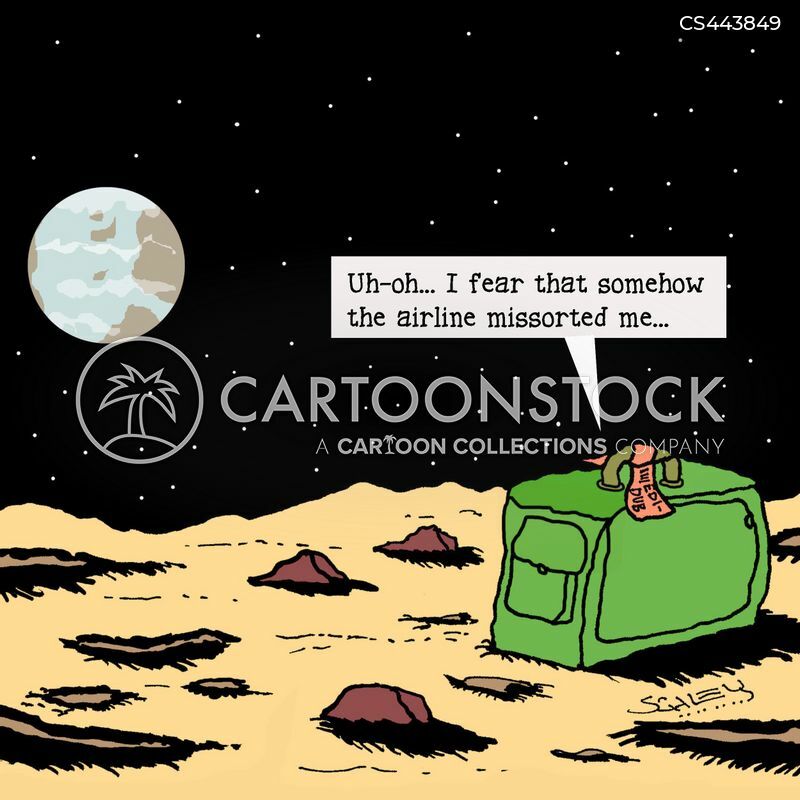 "Uh-oh....I fear that somehow the airline missorted me..."